According to Carol McKinley, a Catholic blogger from Boston, Cardinal Seán O'Malley, the Archbishop of that city, is now in the abortion business. Her evidence consists mostly of extensive quotations from the website of Celticare, a new "joint venture" in which the Archdiocese's own health-care agency, Caritas Christi, is one of the two partners, the other being Centene Corporation. The facts seem pretty damning. Since O'Malley must surely know of this, either he doesn't care or he does care and has some plausible defense to offer. Of course, that's assuming he cares enough to offer such a defense. I am willing to make that assumption because my impressions of him, from both news stories and Boston-area friends, have been positive until now. It's easy to think the worst of a man in charge of a diocese that was the epicenter of a decades-long scandal, has been hemorrhaging members and parishes, and belongs to what is arguably the most liberal state in the Union. I am not yet ready to think the worst. So I await the defense. Carol, on the other hand, is awaiting a disciplinary response from the Vatican. I'm not sure that will come, at least not publicly, in a way that will have visible effect. Caritas' contract with Centene may be written in such a way that the Archdiocese cannot bow out without huge loss at a time when it's already reeling financially. If so, then the Vatican may just accept such defense as O'Malley is willing to offer. But maybe there is no defense. In that case, the Vatican may just end up forcing O'Malley's hand and making the Archdiocese bite the financial bullet. That would probably be O'Malley's downfall, paving the way for a successor to preside over the ensuing disaster. Boston's penance is far from over in any case. This is going to be interesting. I'd appreciate any updates. Among Westerners these days, it has become commonplace to identify oneself as "spiritual but not religious." When people repeat that slogan, they generally mean to affirm some sort of relationship with a Higher Power apart from, and often in contradistinction to, institutionally embodied religion. Thus it is assumed that something called "the Church" obscures more than it transmits the most important truths about the scheme of things. But of course, if there is such a thing as divine revelation, as each of the Abrahamic religions claim, then its content cannot be merely a matter of personal opinion. Either it is reliably and publicly identifiable in authoritative terms, or it is not identifiable as divine revelation at all, but only as a set of data—legendary, historical, and speculative—about which various opinions can be entertained. Even Hindus recognize that much. After a long eclipse of dogma, many educated Christians are rediscovering it too. The latest to catch my attention is C of E priest Fr. Jeffrey Steel, who has just announced that he is "swimming the Tiber." I want to connect what he's done with my favorite dogma of the Faith: the Trinity. The dogma of the Trinity expresses that infinite, bedrock Reality from which everything else, even the Incarnation, is derived: a communion of persons who are each the same God. To us, that can only seem paradoxical; we cannot expect ever to "comprehend" it, to "wrap our minds round" it, in terms of something else; like St. Patrick or St. Augustine, we can only approach it cognitively with analogies whose inadequacy quickly becomes apparent. That's because there is no more fundamental reality in terms of which the Trinity can be explained; rather, its activity explains everything else. But its life, timeless yet dynamic, is what we are called to live as, verily, "partakers of the divine nature." So the best path to the Trinity is to accept its reality by humble submission to the Church founded by Christ; to worship it in awe, which also requires humility; and to live as Christ the Lord would have us live: loving ourselves and one another as we are loved, which requires suffering. As the New Testament indicates, we are to do so as members of that communion of persons called the Church: the Mystical Body of Christ. And so the question becomes: what is "the" Church founded by Christ? Only when we have found the Church and joined her do the Father, the Son, and the Holy Spirit abide in us as fully as they will. It is thus that we are "saved," drawn out of darkness into God's marvelous light. Yet for the reason already adumbrated, many would reject the question: What is "the" Church? They think of churches as essentially political associations of the like-minded; hence, there are only churches one might find, or fail to find, congenial as loci of opinion and mutual support. On the purely human level, such a view is all too plausible. But judging by what Fr. Jeffrey has said in his post, that's exactly the operative ecclesiology that he is fleeing. As I understand his journey, it had become apparent to him that there is such a thing as "the" Church and that the Anglican Communion, as an umbrella over conflicting views on fundamental points of doctrine, could not credibly claim to be a true, particular church within the larger communion of "the" Church. As as another Tiber-swimmer, Fr. Al Kimel, once wrote: "A church which does not claim to be the Church, outside of which there is no salvation, is not the Church founded by Jesus Christ." The Anglican Communion has, historically, understood itself to be at most a "branch" of the Church; but for Fr. Jeffrey and many others, the recent history of that communion calls even that claim into question. A church which recognizes no doctrinal authority other than a "consensus" identifiable by scholarship and subject to reversal by allegedly new things done by the Spirit cannot reliably transmit the "faith once given" to the saints—nor, indeed, eternal life. It cannot present divine revelation as anything more than a set of data about which various opinions can be entertained and should be tolerated. Such a church is not an authoritative vessel and teacher of truth, the Mystical Body of Christ which shares in his authority as her Head. The Apostles understood Jesus to say: "All authority has been given to me in heaven and on earth" (Matthew 28:18). That authority came from the Father. 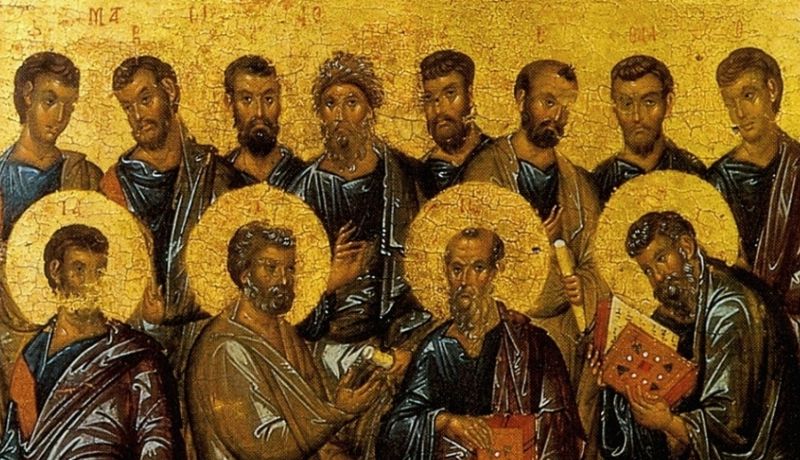 Before he ascended back to the Father, Jesus gave a share in that authority to the Church (John 20:22) by breathing the Holy Spirit on the Apostles. That is why he could say to them and their successors: "Whoever hears you, hears me" (Luke 10:16). 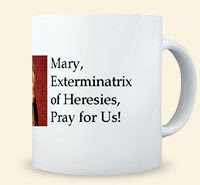 The Trinity is thus what gives the Church her auctoritas and her potestas. The life of the Trinity is what the Church exists to insert us into. As we celebrate bedrock reality as loving communion, let us celebrate all who, like Fr. Jeffrey, come to recognize and celebrate the Church as that Body through which we are invited to share that communion. Gloria Patri, per Filium, in Spiritu Sancto!